Up to 60% of the human adult body is water – we all need to drink it. Proper hydration is essential to life. Next to oxygen, water is the single most important nutrient you will give your body. Water rejuvenates, and carries vital nutrients all around the body, helping deliver it where it’s needed. 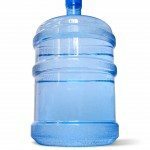 Water also helps to pick up waste and debris cells throw off into the lymphatic system and eliminate it through your body. Water also keeps our muscles from tensing up. Many massage therapist that have clients with cramped muscles will often recommend drinking more water. 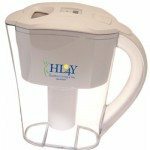 Water on the alkaline side of the pH scale can also assist your body in detoxification and dis-ease elimination. 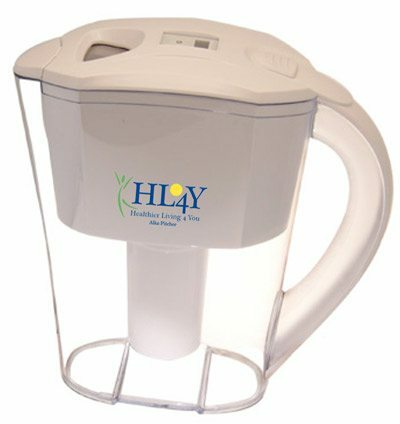 We have two types of water in our fridge, one filtered, and one detoxifying Alkaline pitcher that we <3 <3 <3 from HL4Y. The alkaline water helps cleanse and reset your body, assisting in the detoxification. No disease can live in an alkaline environment, but disease will surely thrive in an acidic one. Proper Hydration Helps Us Stay Fit! When your thirst mechanism has been turned off for a long period of time, we often mistake thirst for hunger. We are not actually hungry, we are thirsty and our body is asking for water. Next time you feel hungry, drink a full glass of water and see if that subsides within a few minutes. As you drink more water, your thirst mechanism will return to its natural state. Not only will you begin to feel thirsty when you need water, but your appetite will decrease. How many ounces of water per day should you drink? While studies have varied, we’ve found that you can maintain good hydration drinking around 2-3 liters of fluid per day. Safe, pure water is best here, as many artificial or “natural” drinks are full of sugar and will not help maintain your body’s hydration levels as well as you think. Do you drink water every day? If not, how has this article made you think about considering proper hydration habits more often? Share your thoughts in the conversation below! *Disclosure: We received an HL4Y AlkaPitcher for review purposes only to include in this post. 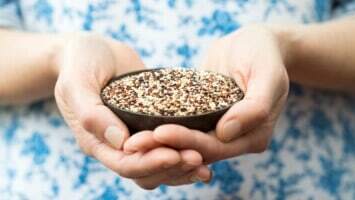 The opinions of it are our own, based on our personal experience with the product.